Budget airline Ryanair said Wednesday it is cancelling 400 of over 2,400 flights on Friday due to a strike by pilots in Ireland, Sweden, Belgium and Germany at the height of the vacation travel season. The airline says 85 per cent of its Friday flights would operate and that affected customers would get email or text messages later on Wednesday. They would have the option of a refund, rebooking on the next flight or rerouting. Officials said flights should return to normal Saturday. German pilot representatives said at a news conference Wednesday at Frankfurt's airport that they were joining the strike action because they want pay and work conditions comparable to those at Ryanair's competitors. The company called the strike "unjustified and unnecessary" given recent pay increases and "invitations to meet for meaning negotiations." 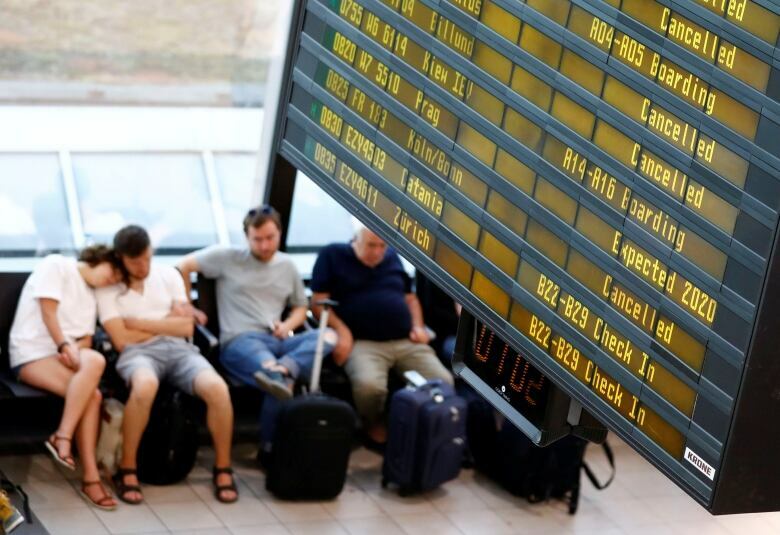 The airline has been hit with strikes by flight attendants in Spain, Portugal and Belgium. Irish pilots have held four strike days. Ryanair built its low-cost business model without unions but said last year it would recognize them. Labour representatives are seeking collective bargaining agreements in the different countries.